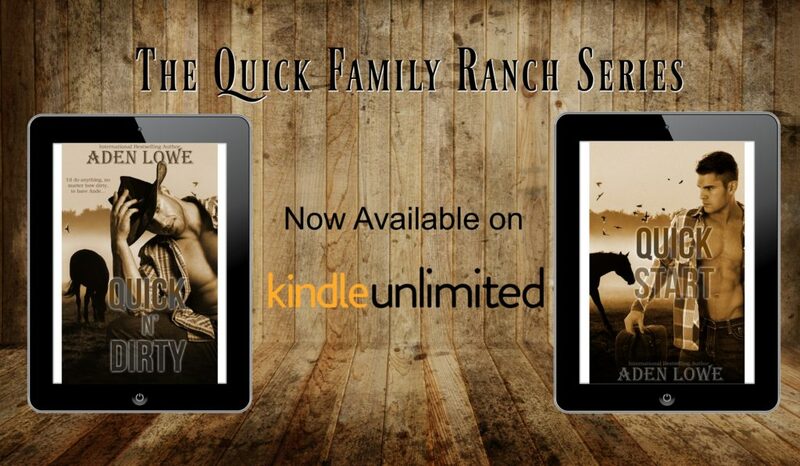 I’m a big Aden Lowe fan and am thrilled to share new reads from him – The Quick Family Ranch! I really enjoyed Quick N’ Dirty and am so excited about this series. I hope you’ll check out my review and these great brothers! 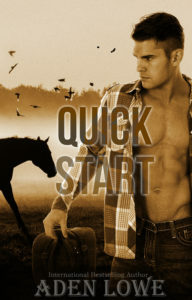 This is a sweet, quick read that I really liked from start to finish! 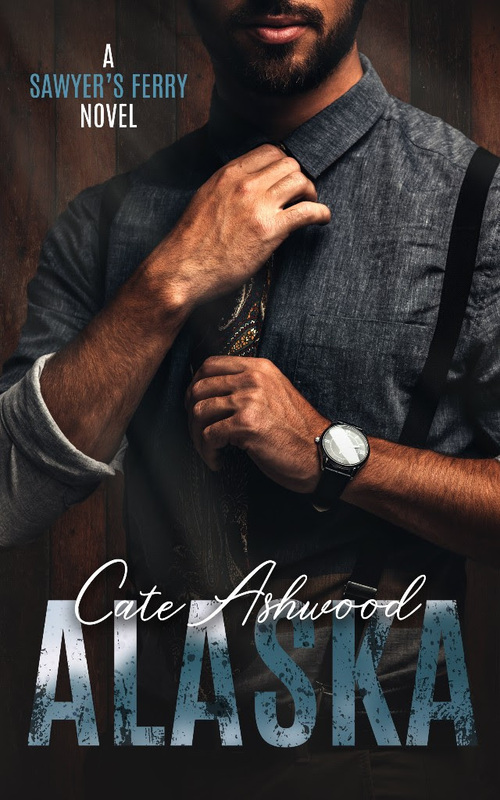 I love that feeling when I can start a book and finish it in an afternoon and still feel like I got a great story with characters I love – and Aden Lowe definitely delivers! I loved how these two families came together and Jake and Ande just made me swoon! For me, these are characters that are just easy to love! 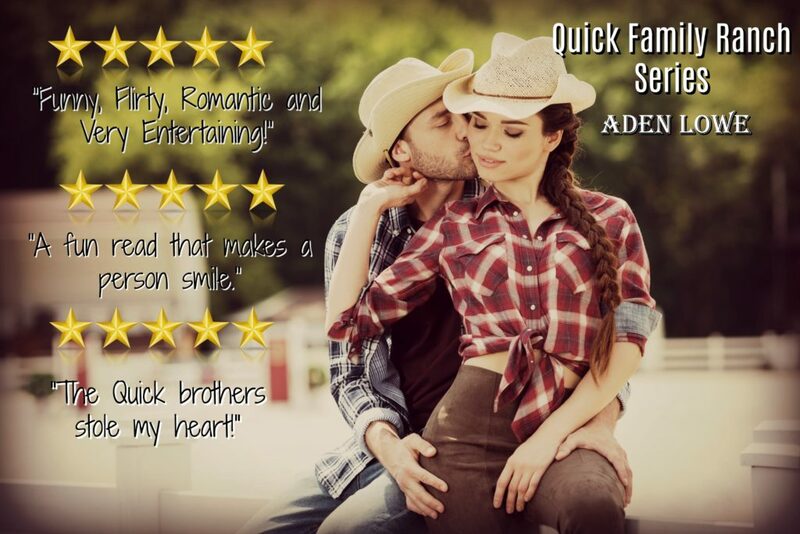 Jake, his brothers and his dad, while rough around the edges are awesome and Ande and her two kids, my heart broke for what she has been through but I loved that she finds her happiness. 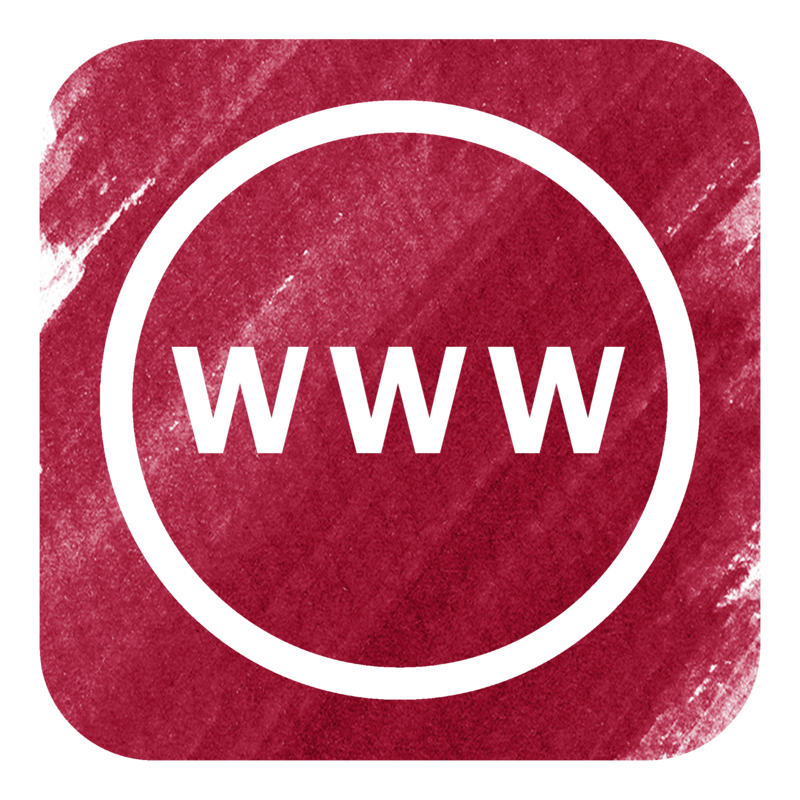 Both families need a little help and they find that they are just perfect for each other. I really do love Aden Lowe’s ability to tell a story and this is definitely one of my new favorites from him! 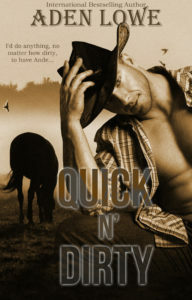 It made my smile, it made my heart happy and I definitely want more of the Quick brothers! Happy Friday! 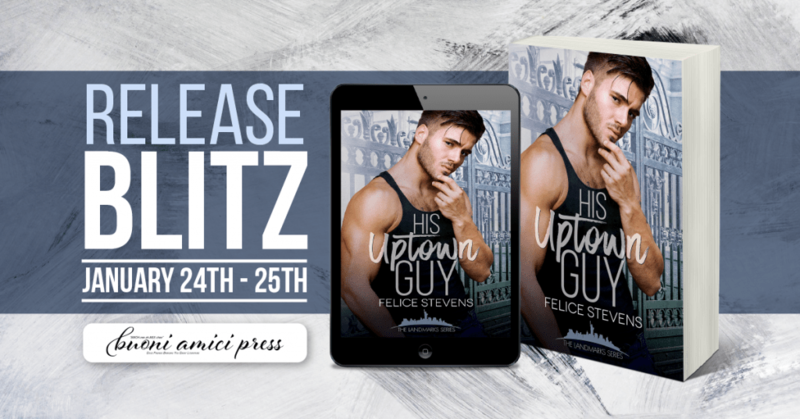 Today we are thrilled to share the Release Blitz for His Uptown Guy by Felice Stevens! 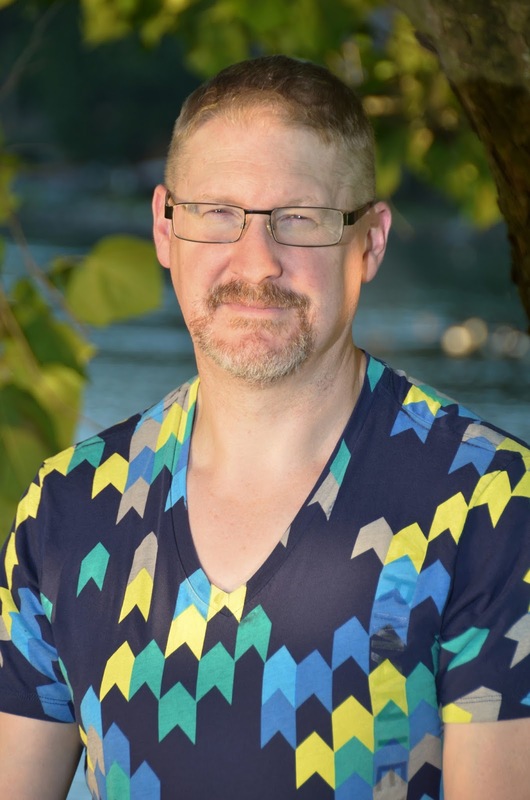 This is a fantastic read with so much heart and love! 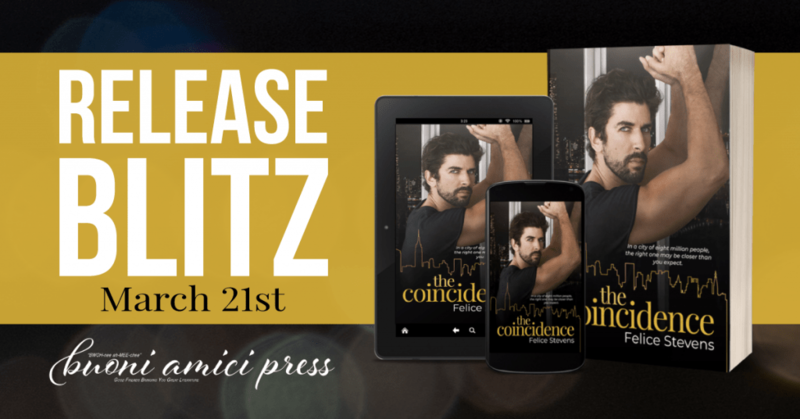 I hope you’ll check out my review and the awesome giveaway! 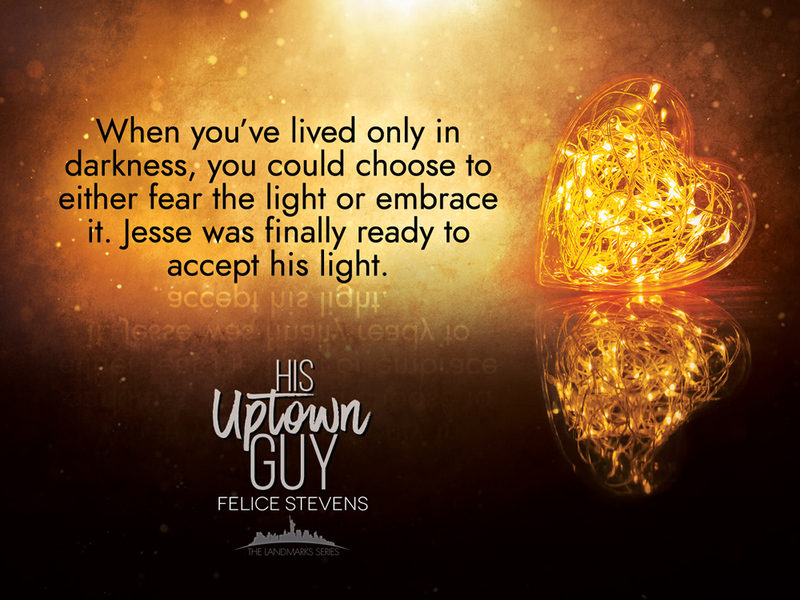 This is such a seeet read from Felice Stevens, it is heartfelt and touching and I loved it! 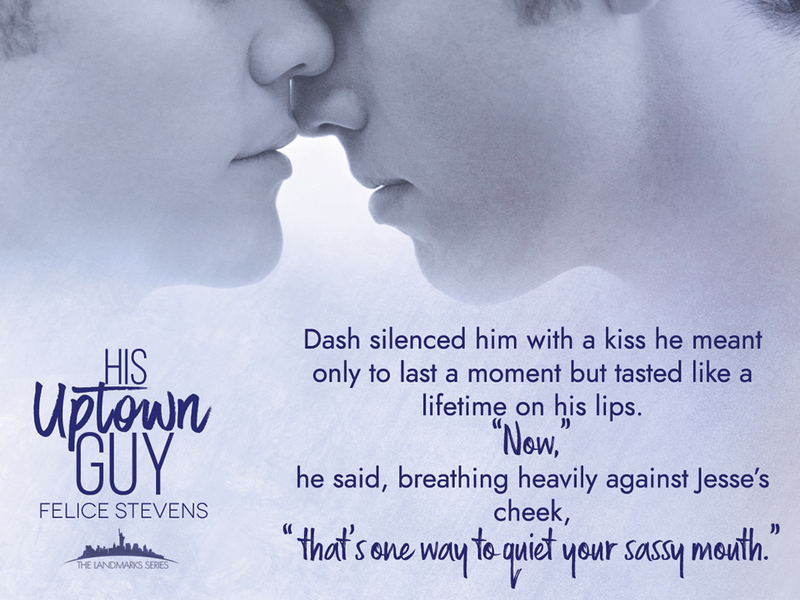 Dash and Jesse are such amazing characters that owned my heart right from the start! 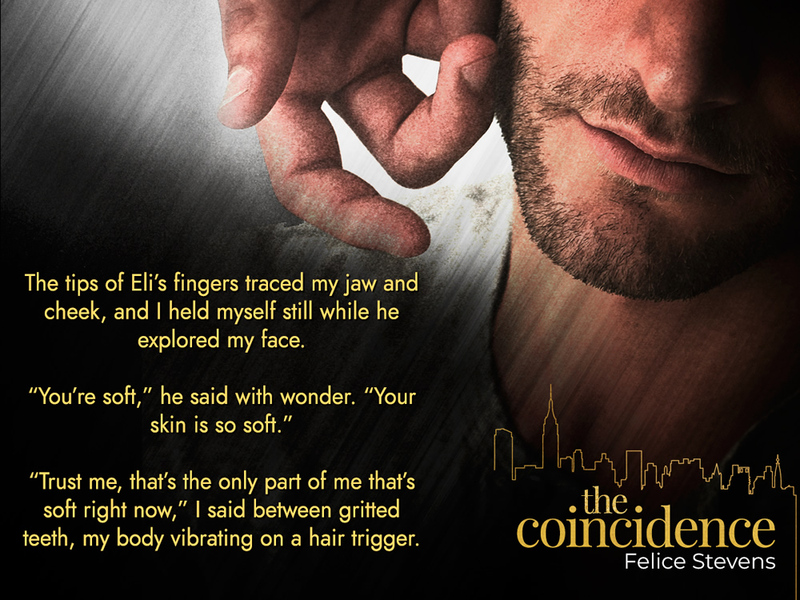 I felt like this was one of the least angsty books I’ve read from Felice but it does deal with serious issues. 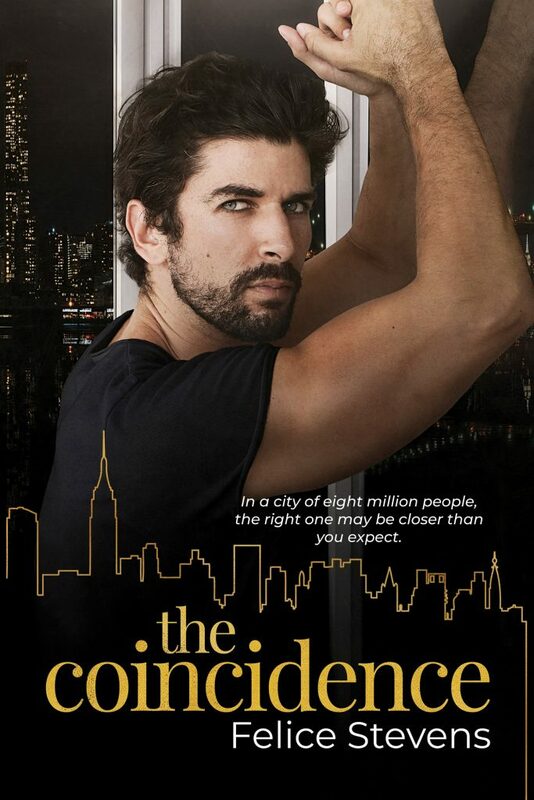 After losing his father on 9/11 and suffering a mugging, Jesse hasn’t left his apartment in over 5 years. His agoraphobia has taken over his life but he’s also tired of living that way and wants to try, even if it’s a trip to the courtyard. Dash and his family have never had money, but he’s working hard to change that, putting himself through school and saving what he can. Even if that means working as a porter for a luxury apartment. 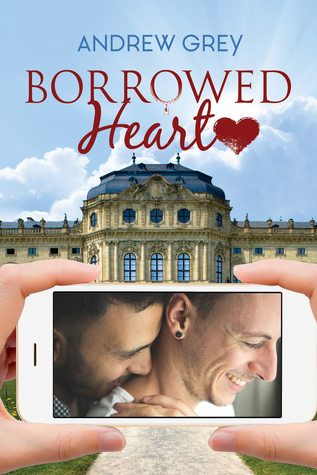 A chance meeting and a panic attack bring Jesse and Dash together for a beautiful journey of discovering themselves and real love! 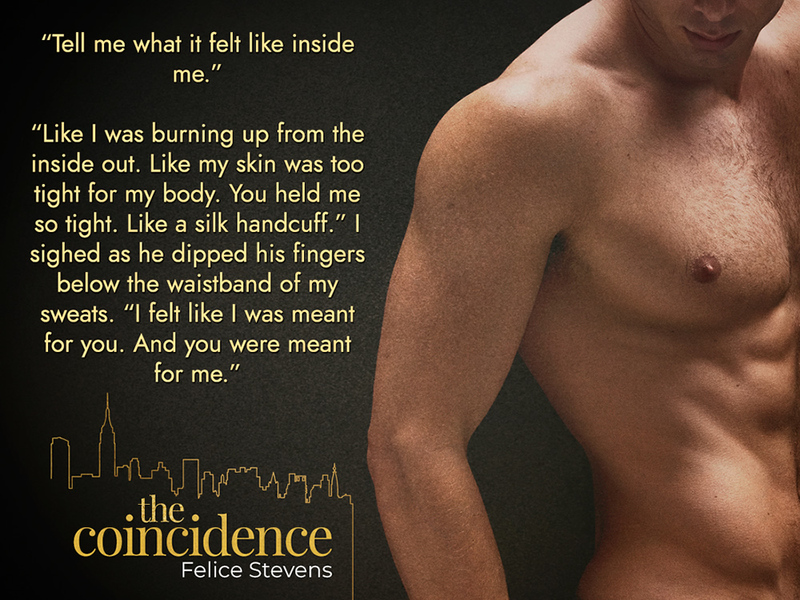 I think Felice Stevens does a wonderful job of telling this story in a very real and raw way. My heart broke for Jesse and everything he struggled with but also soared at his bravery and his heart! Then there’s Dash, he’s so supportive and encouraging of Jesse. Both of these men learn and grow together, finding happiness and love together! An amazing read that I highly recommend!